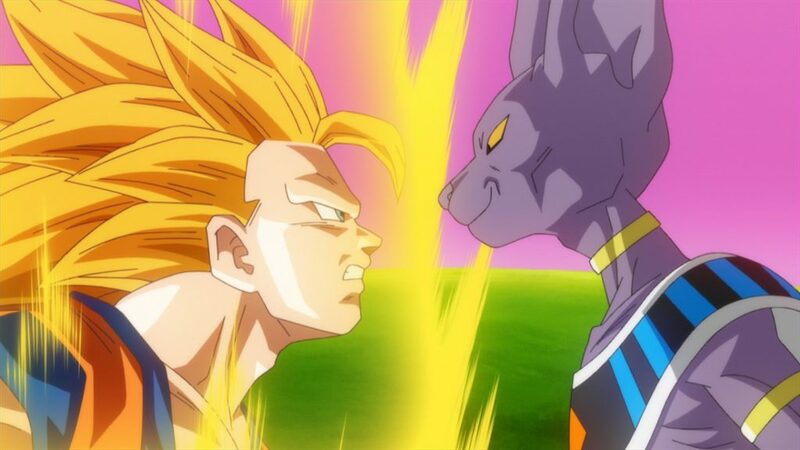 Before we get to the second re-telling of the Battle of Gods film I’ve reviewed for this site (the other being the Dragon Ball Super manga, which was actually created after the TV series began airing, but was released here in the UK first…) the first few episodes of Super stay true to the idea of this continuing on after the Buu arc of DBZ as they’re pure comedy filler. I don’t mean the traditional “filling time so the anime doesn’t catch up with the manga” filler, because both the anime and manga of Super are being created alongside each other by different teams, but still very much in the vein of a cool-down period between bigger arcs. It was a … brave move, I guess? 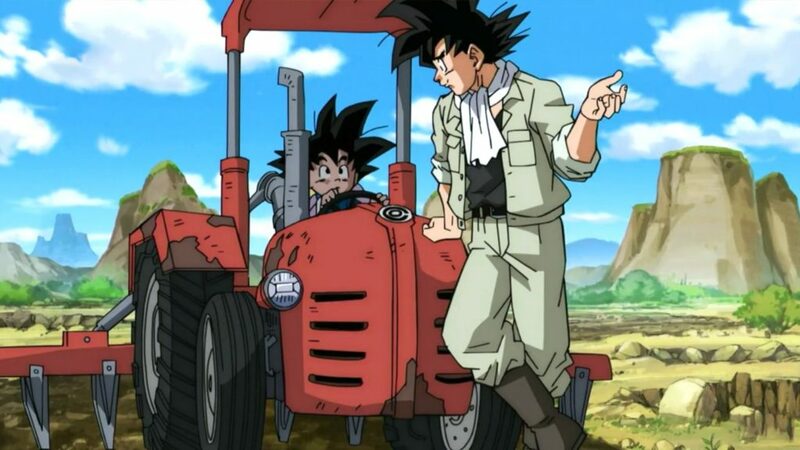 Launching the show with an episode mostly about Goku being a farmer, followed by an episode devoted to Vegeta having to take his family to a theme park… it’s an odd way to kick the show off. It’s funny, watching Dragon Ball Super weekly and reviewing it every six weeks, looking back at these first thirteen episodes really hits home how far the show has come. 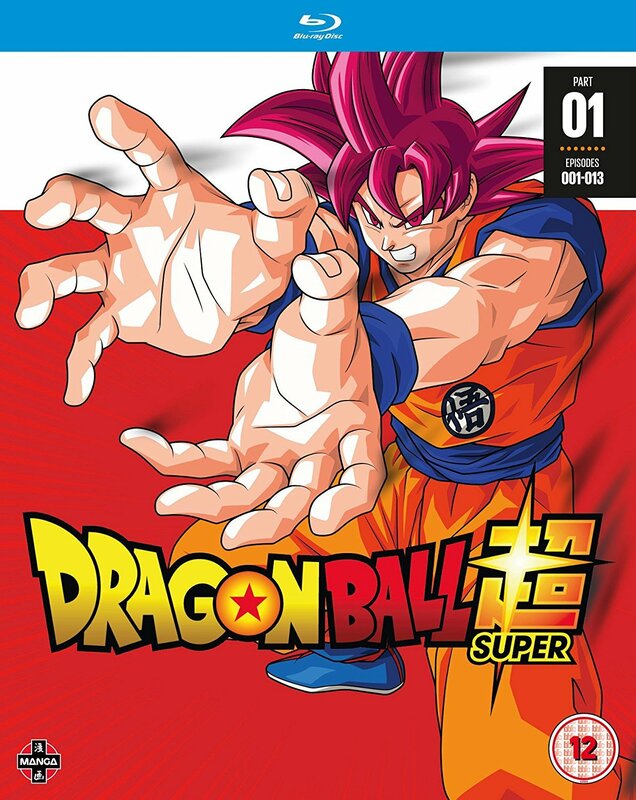 The animation seen on these discs is average at best and pretty damn poor at worst (though Goku’s transformation into a Super Saiyan God is well done, if overly dramatic…) and the soundtrack is mostly forgettable. It also focuses way more on Toriyama-style silly comedy, which is his bread and butter for those who have only watched the Z portion of the franchise. Comparing that to what’s airing now and has aired in the last year, not only has the animation improved many, manyfold, but the stories have also slowly shifted into more Z-like action-based stories. It’s like Dragon Ball Super is a new version of the original manga, which started off all gags and ended up more action-focused. All the voices from both the Japanese and the US version of Dragon Ball Kai return here, although on the Japanese side the voice actor for King Kai / the narrator, Joji Yanami, is on his last vocal legs, completely unable to raise his voice to match the animated panic during several scenes. It’s tough to listen to, and it’s not surprising that he does indeed get replaced by the time he next appears. “Chōzetsu☆Dynamic!” by Kazuya Yoshii is your opening theme, and will continue to be for many sets to come. The ending to Episodes 1 – 12 is “Hello Hello Hello” by Good Morning America, where as Episode 13 has “Starring Star” by Key Talk. Extras include a couple of features looking at returning English voice actors and how they’re all happy to return to the Dragon Ball universe, plus textless opening and endings, and trailers. So, Dragon Ball Super – Part 1 is actually quite an odd thing to recommend. If you want to follow Super from start to finish, then obviously jump to it! 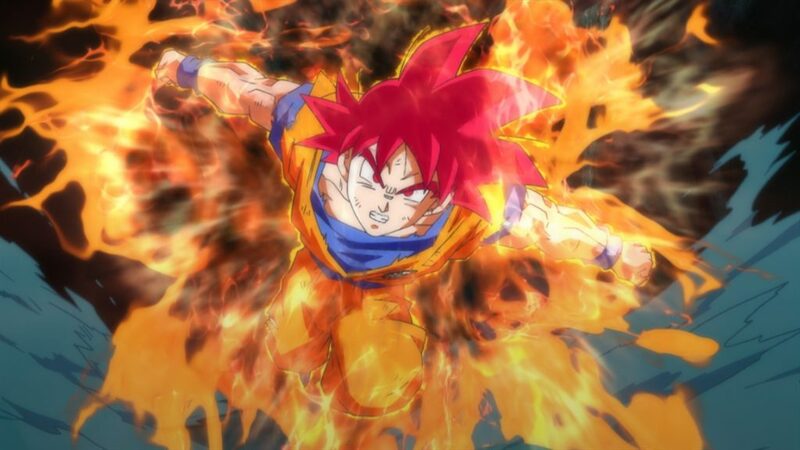 If you already own the Battle of Gods and Resurrection F films on Blu-ray then you can skip this and Part 2; the new Toriyama material won’t start until the Part 3 Blu-ray and frankly the film versions of these stories are quicker to the point and have better animation (obviously!). Of course if you want to watch some admittedly harmless and sometimes funny comedy “filler” episodes then this set does at least offer you something new to enjoy! After a very long wait, the 8-Universe, 80-person Battle Royal to decide which universe gets the right to continue to exist begins! If that sentence doesn’t grab your interest, then I don’t know what to tell you….